Looks like it’s finally happening. Folsom’s 93 is still on course for a July release. I’ll be headed out to to Sacramento and the prison in July (more on that when dates are finalized). 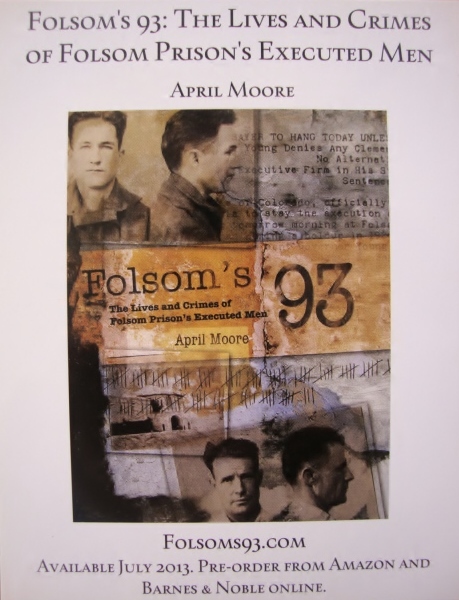 Categories: Publishing | Tags: book release, book signing, Folsom Prison, Folsom's 93, writing | Permalink. Yay! I always knew you would get back to prison soon. 😉 Congratulations.